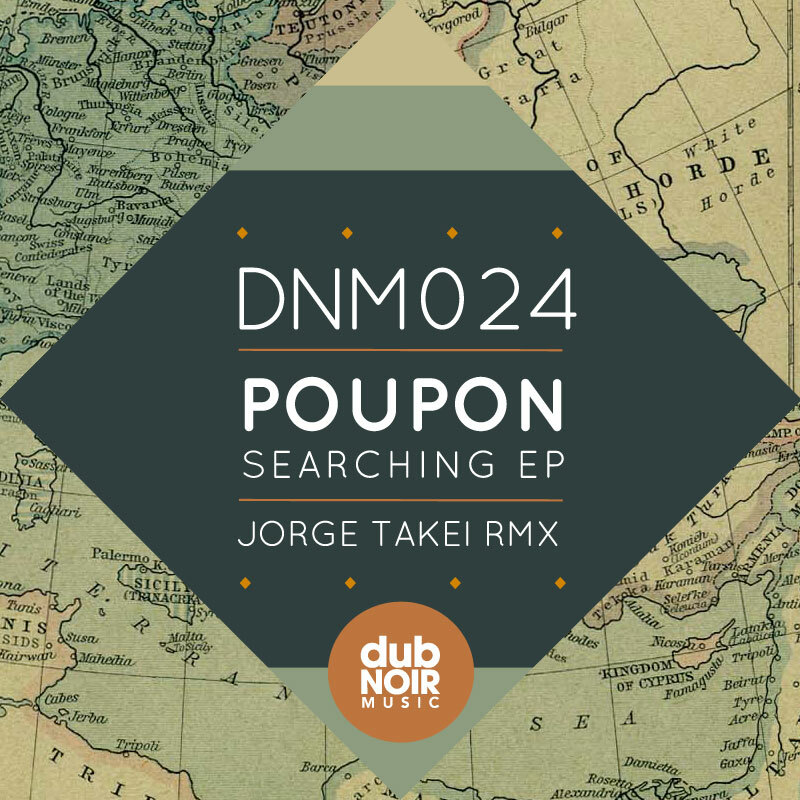 Toronto stand up – beat cook Poupon is serving up another one to scarf today on UK label DubNoir Music. A four track EP baked with three originals and a remix for the icing on top. Expect four on the floor kick with that bassy oomph, a signature Poupon recipe. It calls for savory 909s and a zesty garnishing of diced vocal samples sprouted from R&B hits of the past. Have a taste from the teaser below which starts off with Lima, a subtle delicatessen that sets out to chill with an aroma to provoke your senses. It's undeniable that the scent that leaves a trail on this release emanates from the titled track Searching. With it's klezmer bounce and clever sampling techniques, it aims to satiate old school cravings and deep house bliss. A track true to his gusto, the master chef continues to skim through the plateaus and tune his method in an uphill progression. Consider this his best plate to date, and through the waitressing of Mary J Blige a stinging course leaving you with a soulful aftertaste. Grab it while it's fresh, and as a bonus I'll throw in an appetizer from his past catalogs. Keep an eye out for reappearances in many remix packages including Jae B. 's Perfect Match EP which just hit the shelves last week. And of course, follow the links below to stay up to date with this rising house golden boy in the making.